If you are a regular reader, then you know I also like travelling. 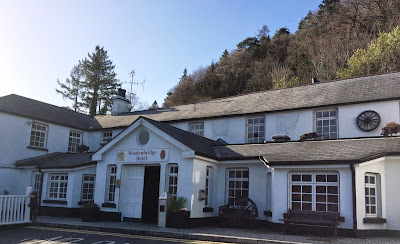 I have written often about favourite places such as Lichfield and Cambridge in England, Crete and Thessaloniki in Greece, but I have written about places from Florida to Korea, and many places in between. I suppose I am trying to provide the diocese with another window out into the world, or into the past, rather than allowing ourselves to be consumed with parochial issues and the pressures of present problems. You may have notices a number of motifs or themes, or undercurrents in the way I write. There is a subtext, if you like. I want to challenge racism and prejudice, which in this country must also include Anglophobia; I want to confront the global problems of war, poverty and discrimination; I want to look at the beauty of other traditions and cultures; and I want to invite you as the reader to appreciate the beauty of God’s creation and to ask what we are doing to sustain and cherish that creation. Naturally, in recent months, I have also been looking at the events that are being marked in what we are now calling this decade of commemorations, looking back at the events that have reshaped and redefined Ireland – and Europe – about 100 years ago. 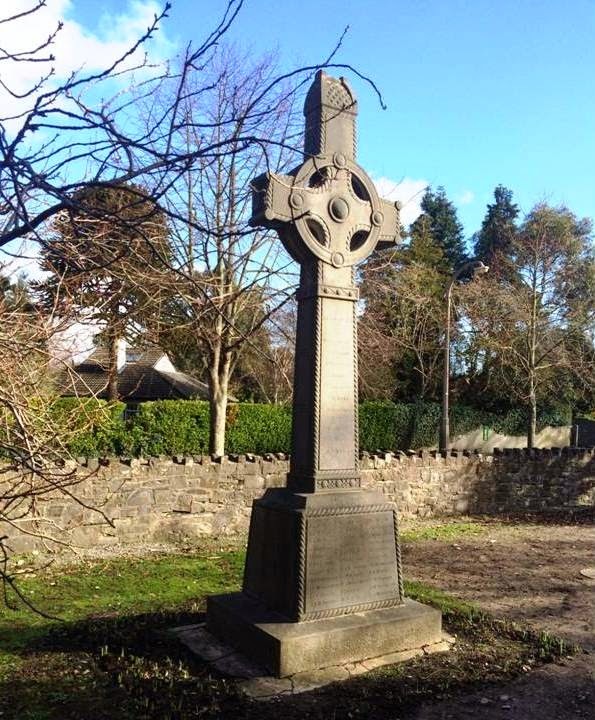 I have written about Ireland’s involvement in World War I, the forgotten members of the Church of Ireland who took part in the events leading up to the 1916 Rising, and the Easter Rising itself. The Revd Martin O’Connor invited me to speak here after some of you read my feature in the Church Review last July . He pointed out that there is a lot of interest in World War I, and that there around 100 names between the World War I memorials in Saint Ann’s, Saint Stephen’s and Saint Mark’s. When he issued that invitation, Martin and Christine had just returned from a tour of the battlefields that brought them to the Flanders Fields Museum in Ypres/Ieper, the Passchendaele Museum, Tyne Cot Cemetery and the Menin Gate memorial. He told me how they were moved and horrified at what they saw and how the number of names on the Memnin Gate, along with the more than 12,00 graves at Tyne Cot, brought home the suffering of war. I am sure we all have family memories that are being brought to the fore since we embarked on this “Decade of Centenaries,” which includes World War I, but also the Ulster Covenant (1912), the Dublin Lockout (1912), the Easter Rising (1916), the Russian Revolution (1917), the War of Independence, and the formation of both the Irish Free State and Northern Ireland. So this morning, I hope to share some of my thoughts on why the World War I commemorations and the 1916 commemorations are still relevant to us today, a century later, and not simply about collecting facts, figures and names. The events a century ago reshaped the map of Europe, but they also reshaped and redefined Irish identity too. It was a decade marked by the demise of Chinese imperial dynasties, World War I, the Armenian Genocide, the Gallipoli landings, the Battle of the Somme, the Russian Revolution, the Balfour Declaration, the defeat of Germany, the fall of the Hapsburgs, the creation of the Weimar Republic and the Soviet Union, the first non-stop transatlantic flight, the collapse of the Ottoman Empire, the winning of women’s voting rights, and the rise of Communism and Fascism. But it was the decade too that brought us the modern zipper, stainless steel, and the pop-up toaster. It was a decade that saw the publication of Einstein’s theory of relativity, the first US feature film, the debut of Charlie Chaplin, the publication of Thomas Mann’s Death in Venice, DH Lawrence’s Sons and Lovers and Women in Love and TS Eliot’s The Waste Land. For Irish people, this was the decade that saw the death of Bram Stoker, the author of Dracula, who was born into a Dublin Church of Ireland family. It was a decade that saw the publication of James Joyce’s Dubliners, Portrait of the Artist as a Young Man, and Ulysses, and of Pygmalion by George Bernard Shaw. And it was a decade too that was marked by the sinking of the Titanic and the Lusitania. The commemorations to mark the centenary of World War I began two months ago, for World War I began on 28 July 1914. Over four years, more than nine million combatants were killed in the ‘Great War,’ making it one of the deadliest conflicts in history. Despite the fears – and the justified fears of many – I believe the commemorations are never likely to descend into a glorification of war. Instead, they are likely to focus on the horrors of war, its impact on the lives of many millions of people, and a legacy that includes major changes that reshaped the political map of Europe. The war is often been seen as a conflict between the jealous crowned heads of Europe and it brought about the downfall of many royal houses, including the Romanovs in Russia, the Habsburgs in Austria and Hungary, the Ottomans in Turkey, and the Prussian or Hohenzollern dynasty in Germany. But its impact on the lives of ordinary people must never be forgotten: more than 70 million people were mobilised in a period that lasted long after the war ended. The immediate trigger for the war was the assassination of Archduke Franz Ferdinand of Austria, the heir to the throne of Austria, who was murdered in Sarajevo on 28 June 1914 by Gavrilo Princip, a Serb nationalist. The murder set off a diplomatic crisis when Austria delivered the “July Ultimatum” to Serbia. On 28 July 1914, Austria invaded Serbia, and Germany declared war on Tsarist Russia on 1 August, invaded France on 2 August, and neutral Belgium on 3 August. On 4 August, Britain declared war on Germany. In November, the Ottoman Empire joined the war; Italy and Bulgaria went to war in 1915, Romania in 1916, and the US in 1917. The last country to enter the war was Romania – albeit for the second time – on 10 November 1918, one day before the war ended. Ireland was involved throughout the war as part of the United Kingdom. The war began as Ireland was embroiled in a major political crisis over Home Rule, but the crisis was temporarily defused when nationalist and unionist leaders alike initially supported Britain’s war efforts. The Unionist leader, Edward Carson, offered his immediate support. 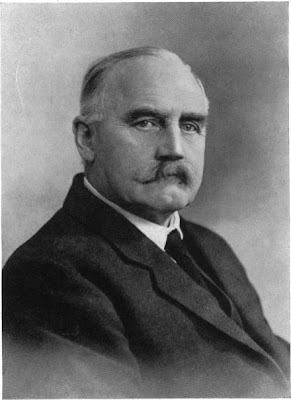 On 3 August 1914, the Wexford-born leader of the Irish Parliamentary Party, John Redmond (1856-1918), then MP for Waterford City, declared in the House of Commons that the British government could withdraw every soldier from Ireland and yet be assured that the coast of Ireland would be defended by Ireland’s armed sons. The first British engagement in Europe involved the 4th Royal Irish Dragoon Guards when they met a German patrol near Mons on 22 August 1914, and Corporal Edward Thomas had the distinction of firing the first British soldier shot in Europe in the war. The first major battle was the Battle of Mons. On 27 August, the 2nd Battalion Royal Munster Fusiliers formed the rearguard to cover the retreat of British forces and made an epic stand. The Irish Guards also suffered heavily at Mons, and the experience of the Munsters and the Irish Guards was typical of the first campaigns in France and Belgium. Home Rule passed into law on 17 September, and in a speech at Woodenbridge, Co Wicklow, just over 100 years ago, on 20 September 1914, John Redmond called on the Irish Volunteers to enlist in Irish regiments. He believed Imperial Germany threatened the freedom of Europe and that it was Ireland’s duty, having achieved future self-government, “to the best of her ability to go where ever the firing line extends, in defence of right, of freedom and of religion in this war. It would be a disgrace forever to our country otherwise,” he said. Redmond’s son, William Redmond, then MP for East Tyrone, enlisted, as did his brother, Major Willie Redmond, then MP for Clare East and a former MP for Wexford Borough. Four other Irish MPs enlisted: Sir John Esmonde, MP for North Tipperary; Stephen Gwynn, MP for Galway and son of the Revd John Gwynn, Regius Professor of Divinity at Trinity College Dublin; and Daniel Desmond Sheehan, MP for mid-Cork. In addition, Tom Kettle, former MP for East Tyrone, enlisted, and Redmond’s call was supported by many parliamentary leaders, including William O’Brien, Thomas O’Donnell and Joseph Devlin. A large majority of the Irish Volunteers followed Redmond’s call. In all, 206,000 Irishmen fought in the British forces during World War I. Of these, 58,000 had already enlisted in the army or navy before the war broke out. Half of the Irishmen who enlisted in the first year were from what is now the Republic of Ireland; the other half from what is now Northern Ireland. It was the greatest deployment of armed manpower in Irish military history. Some of Redmond’s Volunteers enlisted in regiments in the 10th and 16th Divisions, while many members of the Ulster Volunteer Force joined regiments in the 36th (Ulster) Division. However, most Irish recruits lacked military training to become officers, and with the exception of Major-General Sir William Bernard Hickie, from Terryglass, Co Tipperary, the 16th was led by English officers. The 10th Division was the first Irish Division to take part in the war, under the command of General Sir Bryan Mahon, from Belleville, Co Galway. This division was sent to Gallipoli and took part on 7 August 1915 in the disastrous landing at Cape Helles and the August offensive. Irish battalions suffered extremely heavy losses among the Royal Munster Fusiliers, and the Royal Dublin Fusiliers. From Suvla, the division was moved in September to Thessaloniki, where it remained for two years. In September 1917, the 10th moved to Egypt and fought in the Third Battle of Gaza, which broke Turkish resistance in southern Palestine. In 1918, the division was split between the Middle East and the Western Front. The 16th Division spent most of World War I on the Western Front. At the 2nd Battle of Ypres in May 1915, the 2nd Royal Dublin Fusiliers were nearly wiped out as a result of a German-initiated poison gas attack. Until March 1916, the 16th was commanded by General Henry Wilson, who had called them “Johnnie Redmond’s pets.” Hickie, who replaced Wilson, called them as “riff-raff Redmondites,” but was more diplomatic and tactful and later spoke with pride of his command. In July 1916, the 16th suffered heavy casualties at the Somme. The battle began early on 1 July 1916 and the day ended with a total of 60,000 allied casualties, of whom 20,000 were killed in action. The 36th (Ulster) Division suffered 5,500 casualties and 2,000 of these were killed in action. 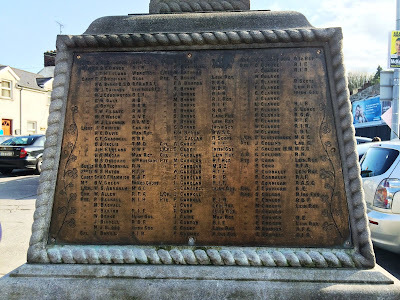 The 1st Royal Dublin Fusiliers fought next to the 36th and counted 147 casualties – 22 killed and 64 missing in action. 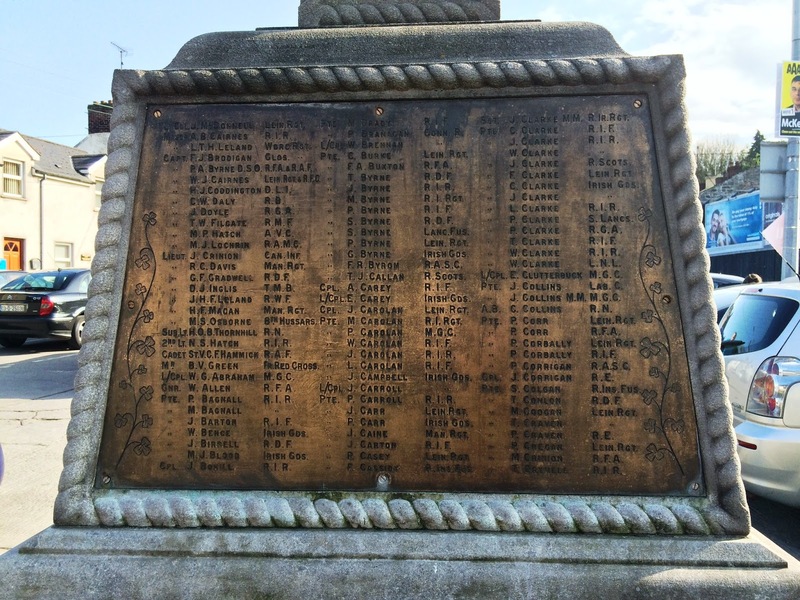 The 2nd Royal Dublin Fusiliers lost 14 of their 23 officers, and 311 out 480 in other ranks. The battle continued until the following November. The former MP for East Tyrone, Tom Kettle, a barrister and Professor of Economics at UCD, was among those killed at the Somme. Irish soldiers also fought at the Somme in the Royal Irish Rifles, Royal Irish Fusiliers, Royal Inniskilling Fusiliers, Royal Irish Regiment, and four battalions of the Northumberland Fusiliers. In 1917, the 16th fought at the Battle of Messines alongside the 36th (Ulster) Division, and at Passchendaele and Ypres. Messines saw the largest-ever concentration of Irish soldiers on a battlefield. Among those killed in the advance was John Redmond’s 56-year-old brother, Major Willie Redmond. By mid-August, the 16th counted over 4,200 casualties and the 36th had almost 3,600 casualties, or more than 50 per cent of its numbers. The losses were so heavy that when the 16th was reconstituted in England the only original battalion left was the 5th Royal Irish Fusiliers. The 36th included three existing Irish regiments: the Royal Irish Fusiliers, the Royal Irish Rifles and the Royal Inniskilling Fusiliers. The division fought on the Western Front throughout the war, and included men from all nine counties of Ulster. Apart from the Somme, the division’s other battles included Cambrai, Messines and two at Ypres (1917), Ypres (1918). Irish regiments in the British army also included the Connaught Rangers, the Leinster Regiment, the Royal Dublin Fusiliers, the Royal Inniskilling Fusiliers, the Royal Irish Fusiliers, the Royal Irish Regiment, the Royal Irish Rifles and the Royal Munster Fusiliers. 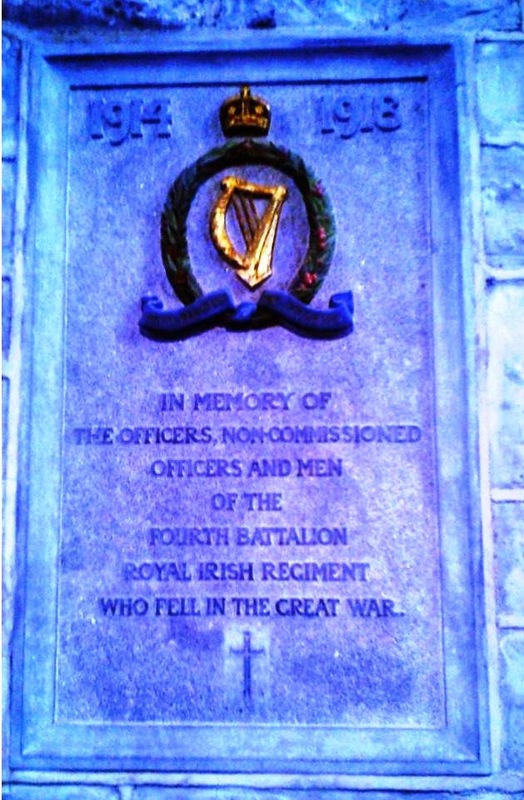 In addition, there were Irish regiments based outside Ireland, including the Royal Irish Dragoon Guards, the King’s Royal Irish Hussars, the Queen’s Royal Irish Hussars, the Irish Guards, the Liverpool Irish, the London Irish Rifles, the Royal Irish Artillery, the Royal Irish Lancers, the Royal Irish Rangers, the Tyneside Irish Brigade, the Royal Irish Regiment and the London Irish. 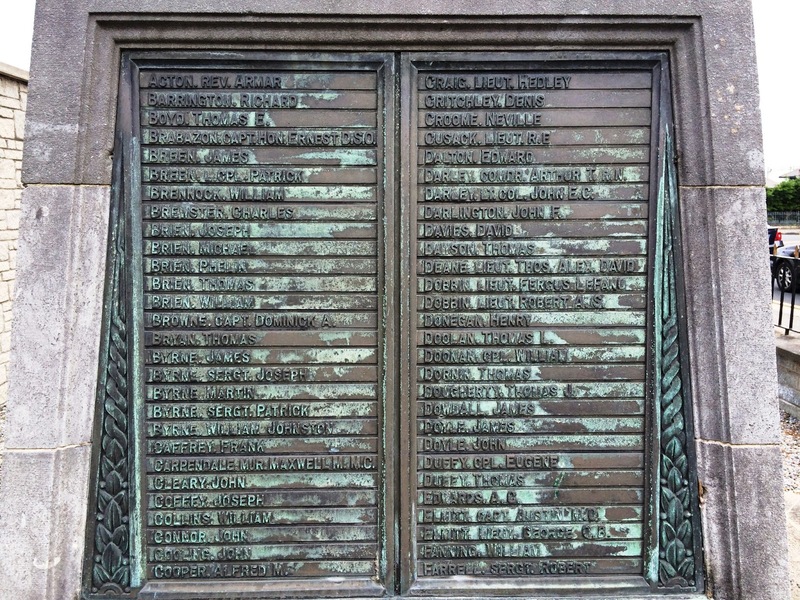 In all, there were 37 Irish VCs in World War I. Lieutenant Maurice Dease from Coole, Co Westmeath, was the first British soldier to be awarded the VC in World War I – on 23 August 1914, the first day of engagement by the British army. He was killed as he continued to operate a machine gun despite being shot four times at the Battle of Mons. One of the last Irish combatants to receive a VC was Sergeant-Major Martin Doyle from New Ross, Co Wexford. He was awarded a VC in September 1918, but later, when he returned home, he fought in the War of Independence. The Armistice on 11 November 1918 brought an end to World War I. But the war also brought about the fall of the German, Russian, Austro-Hungarian and Ottoman empires, and the map of Europe was redrawn. When the Irish divisions were demobilised, about 100,000 veterans returned to Ireland. But another 70,000-80,000 never returned home. There was high unemployment in Ireland, and the rising militant nationalism was hostile to the men who had served in the British forces. 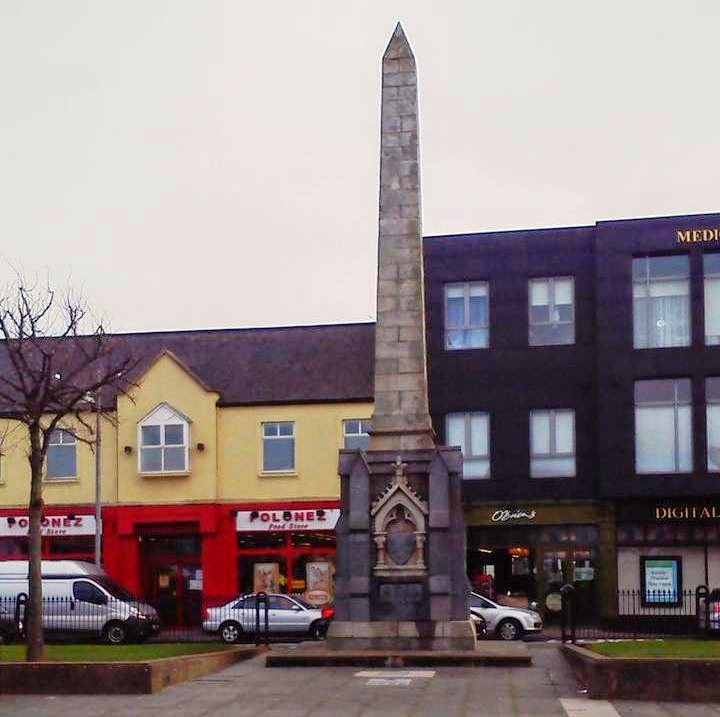 In 1927, the Irish government donated £50,000 in 1927 towards a Great War Memorial. But it was located in Islandbridge, outside the city centre, rather than in Merrion Square. It was not until 2006, on the 90th anniversary of the Somme, that the Irish state held an official commemoration for the Irish dead of World War I. It was a decade that saw the reconstruction of Irish identity through the creation of myths that by-passed the facts, even as the main actors in those myths were still alive. It is forgotten that modern Irish nationalism had its incubation and gestation in the revival of the Irish language – a revival in which the main players included Dr Douglas Hyde, the son of a Church of Ireland rector, and Dr Eleanor Hull in hymns such as Be thou my vision (643). The artistic expressions of the new nationalism were found in the Abbey Theatre, founded by Lady Gregory, WB Yeats and George Russell (AE), the poetry of Yeats and the plays of Sean O’Casey – all members of the Church of Ireland. Since 1916, the leaders of the Easter Rising in Dublin have been transformed into either working class heroes or the personifications of what it is to be Green, Gaelic, Catholic and Irish. But the myths that have been created by those who have a blinkered vision of what it is to be Irish betray the truths of history. Who remembers today that Pádraig Pearse was born Patrick Henry Pearse, the son of a Birmingham Unitarian who had come to Dublin from England as part of the Victorian arts-and-crafts movement? There are other myths surrounding Pádraig Pearse, including one that he was “President of the Provisional Government,” a post that may have been held instead by Thomas Clarke. There is no manuscript version of the 1916 Proclamation, but on all printed versions, the leaders’ names are not printed in alphabetical order, so that Pádraig Pearse’s name is listed fourth, after Thomas Clarke, Sean Mac Diarmada and Thomas MacDonagh. Ironically, Thomas Clarke was not born in Ireland but in an army barracks on the Isle of Wight in England, where his father was a soldier in the British army. Thomas MacDonagh had a middle class education in Rockwell College, Co Tipperary, and was a lecturer in English in UCD. In 1912, he married Muriel Gifford, a member of a well-known Church of Ireland family in Dublin. Éamonn Ceannt, an accountant, was born Edward Thomas Kent, the son of an officer in the Royal Irish Constabulary. James Connolly was born in Edinburgh, and spoke with a Scottish accent all his life. After joining the British Army at the age of 14, he spent seven years with the army in Ireland. 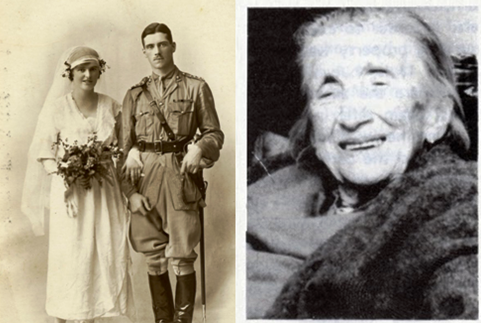 In 1890, he married Lillie Reynolds, a member of the Church of Ireland, who was born in Co Wicklow. Joseph Mary Plunkett was the son of Count George Noble Plunkett, and his distant cousin, Sir Horace Curzon Plunkett, was a prominent lay member of the Church of Ireland and a Home Rule MP. 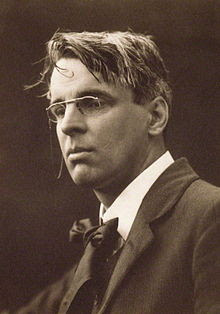 The poet was born into a privileged family in Fitzwilliam Street, then an affluent suburb of Dublin, and was educated by the Jesuits at Belvedere and Stonyhurst, a Jesuit-run public school in Lancashire. Hours before his execution, he married Grace Gifford, who, like her sister Muriel MacDonagh, had been born into a prosperous Dublin Church of Ireland family. In other words, two of the seven signatories were not born in Ireland, one was the son of an Englishman, one had served in the British army, one was the son of an RIC officer, one was born in a British army barracks, one was a titled aristocrat who went to an English public school, and at least three married women who were born into the Church of Ireland. These backgrounds were similar to those of many prominent figures on the Republican side in 1916. For example, Liam Mellows, later executed in 1922 at the height of the Civil War, was born William Joseph Mellows in an army barracks in Manchester, and his father was born in a British army barracks in India. It should be remembered too in the coming years that while the 1916 Rising was being planned, Arthur Griffith’s Sinn Féin still favoured establishing a form of dual monarchy linking Ireland and Britain, similar to the dual monarchy in the Austro-Hungarian Empire, and that Sinn Féin did not take part in the 1916 Rising. Dr Kathleen Lynn, a founding member of the Irish Citizen’s Army too, took command of the rebel garrison in City Hall in Easter Week 1916. She remained a pious member of the Church of Ireland until her death in 1955. Alongside James Connolly, Jim Larkin, Countess Markievicz and Kathleen Lynn, the founding members of the Irish Citizens’ Army in 1913, included Captain Jack White, a Presbyterian from Broughshane, Co Antrim, and the son of Sir George Stuart White, a former Governor of Gibraltar. Indeed, the first informal meeting to form the Irish Citizens’ Army was held in Trinity College Dublin in the rooms of the Revd Robert Malcolm Gwynn. He was a communicant at Saint Bartholomew’s until his death in 1962, and is buried in Whitechurch Churchyard in Co Dublin. One of his brothers, Brian Gwynn, was the father-in-law of the late Archbishop George Simms. Through their mother, the Gwynns were grandsons of William Smith O’Brien, the exiled 1848 revolutionary whose statue in O’Connell Street is close to the GPO and the statue of Jim Larkin. A year after the Dublin lockout, members of the Church of Ireland were among the most prominent organisers of the Howth gun-running. Erskine Childers, a cousin of the Bartons of Glendalough House, sailed into Howth on the Asgard and landed 2,500 guns. The organisers included his wife Molly Childers, Sir Roger Casement, Alice Stopford Green and Mary Spring Rice – all Church of Ireland parishioners, as were many of those waiting for them on the pier, including Countess Markievicz, Douglas Hyde and Darrell Figgis. Edward Conor Marshal O’Brien (1880-1952), skipper of the Kelpie, one of the yachts involved in the gunrunnings, was a member of the Church of Ireland from Limerick and his first cousin, Brian Gwynn, was the father of the late Mercy Simms, wife of Archbishop George Otto Simms. 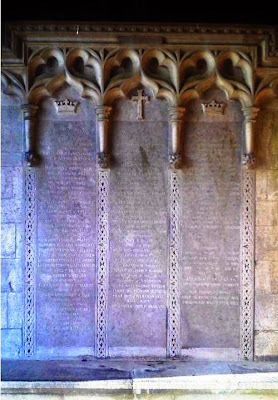 The accounts of the Howth gunrunning seem to overshadow the equally dramatic Kilcoole gunrunning in Co Wicklow, which was organised by the skipper of the Chotah and the King’s Surgeon in Ireland, Sir Thomas Myles (1857-1937), who was baptised in Saint Michael’s Church of Ireland parish church in Limerick City. 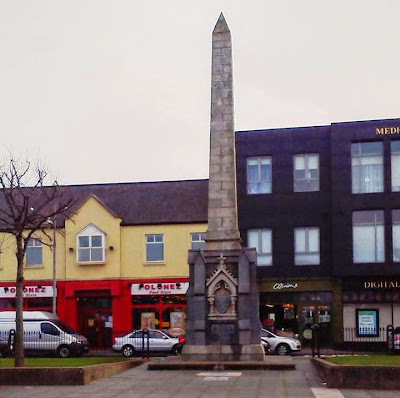 Nor can we dismiss Myles as a marginal member of the Church of Ireland: his father-in-law, the Revd George Ayres (1825-1881), was a Church of England clergyman; and his youngest brother was the Very Revd Edward Albert Myles (1865-1951), Dean of Dromore. Sir Thomas Myles was knighted at King Edward VII’s coronation while he was President of the Royal College of Surgeons in Ireland. After the Kilcoole gunrunning, when World War I began, he became an officer in the Royal Army Medical Corps and was later appointed one of the honorary surgeons to the King in Ireland. Written in or written out? The myths that have accumulated over the past century have written members of the Church of Ireland, their consciences and their role out of the shared history of this island. 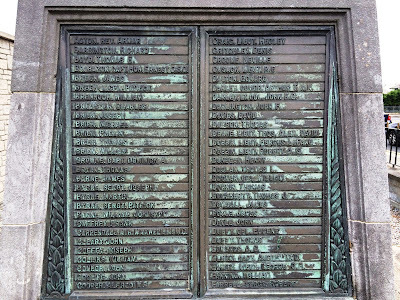 In these coming years, we must remember that more Irish soldiers – Catholic and Protestant – died at the Gallipoli landings in 1915 or at the Somme in 1916 than died in the Easter Rising. Nor should we forget that more than 400,000 people on this island, including five bishops of the Church of Ireland, signed the Ulster Covenant, and in doing so were led by Sir Edward Carson, who was born in Harcourt Street, Dublin. Many families in this part of the island – both Protestant and Roman Catholic – were totally divided when it came to loyalties at this time. Colonel Thomas James Comerford (1894-1959), who was raised in Co Wexford and Co Waterford, came from an interesting background. 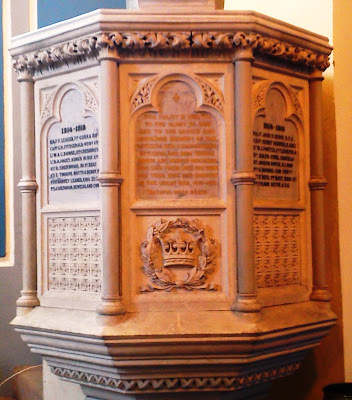 His grandfather, Colonel Thomas Esmonde (1831-1872), was decorated with the VC for his part in the Battle of Sebastopol in the Crimean War, his mother was three times tennis champion of Ireland, and his cousin, Sir John Lymbrick Esmonde, was one of those five Irish MPs who fought in the British Army in World War I. Thomas Comerford served in World War I, initially with the Royal Irish Regiment and later with the Royal Irish Rifles. He fought at Gallipoli in 1915, where he was wounded, and was at home in Dublin on sick leave in 1916 when the Easter Rising broke out. The family story says he was taken out of Dublin immediately so he would not be compromised by the curious activities of his sister. He was wounded at the Battle of Passchendaele in 1917, and went on to spend 25 years in India, where he was married in Bombay in 1921 and where he was active in World War II, organising supplies for the Chindits. His sister, the journalist and writer Mary (‘Máire’) Eva Comerford (1893-1982), was also raised in Co Wexford and in Co Waterford. She became involved in politics initially as a Redmondite Home Ruler activist in Wexford Town, but later became a life-long Republican activist, and took part in the 1916 Rising in Dublin. Little wonder that her brother had to be moved out of the city. 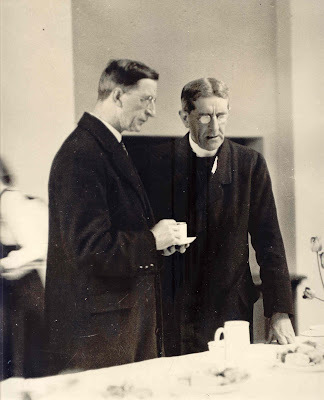 Archbishop Gregg and Eamon de Valera together in the 1930s. It concerns us all to offer the Irish Free State our loyalty. I believe there is a genuine desire on the part of those who have long differed from us politically to welcome our co-operation. We should be wrong politically and religiously to reject such advances. In 1922, after many Protestants were forced to leave their homes because of threats and some had been murdered in Co Cork, a delegation of southern members of the General Synod met Michael Collins and WT Cosgrave, and asked whether the government of the new Free State was “desirous of retaining” the Protestant community. The new government readily gave the assurances sought. Over these ten years, it is important that one single event should not dominate all the other centenaries and the memory of what has made the Ireland we know today. We should remember the Ulster Covenant, the lockouts, Gallipoli, the Somme, the men who rallied to Redmond’s call, and the poetry of Tom Kettle. Nor should we forget the diversity of contributions made by members of the Church of Ireland in those ten years. Canon Patrick Comerford is Lecturer in Anglicanism, Liturgy and Church History, the Church of Ireland Theological Institute and an Adjunct Assistant Professor, Trinity College Dublin. These notes were prepared for a talk with Men’s Breakfast in Saint Ann’s Parish, Dawson Street, Dublin, on 27 September 2014.